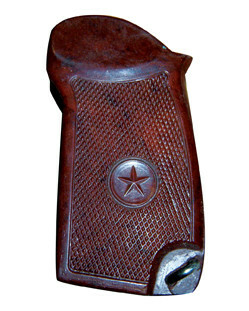 Original Bulgarian star grip with pressed checkering and lanyard attachment. Grip screws not included. Sold as spare parts only. To be assembled in accordance with all Federal, State and Local laws.